Accompanied by his faithful firehouse Dalmation, this fireman is busy putting out the flames in this adorable fire scene! 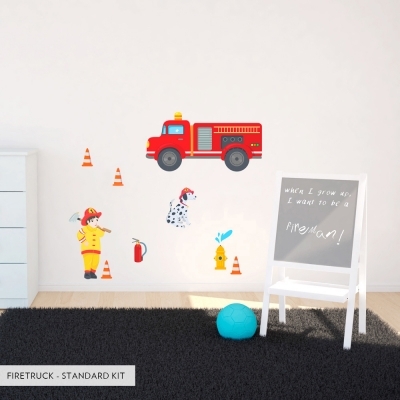 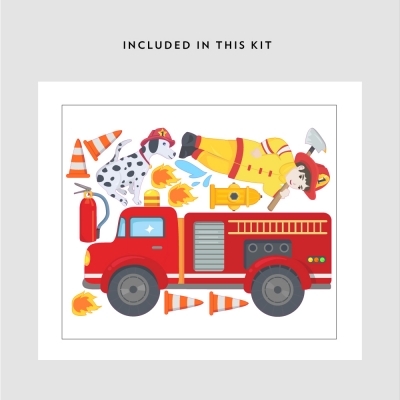 For the little firefighter fan you know, this printed firetruck wall decal will add the perfect touch to their room's decor. 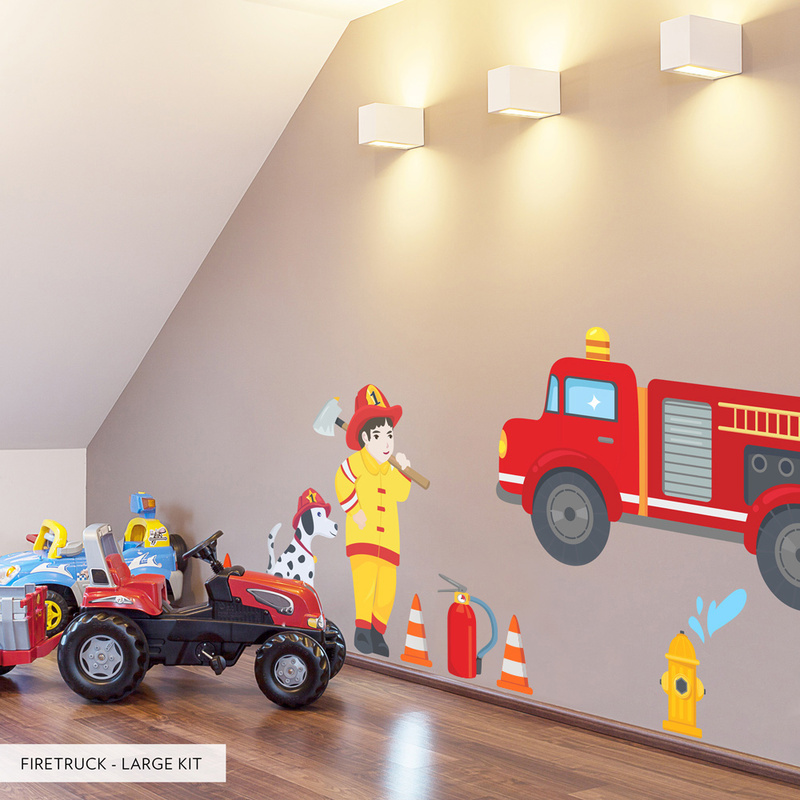 Shop this and other children's wall stickers online at Wallums. Please note: Colors and sizing may vary slightly from the image above.